Since I can not find a specific Outfitter Review forum here, I will put this here. 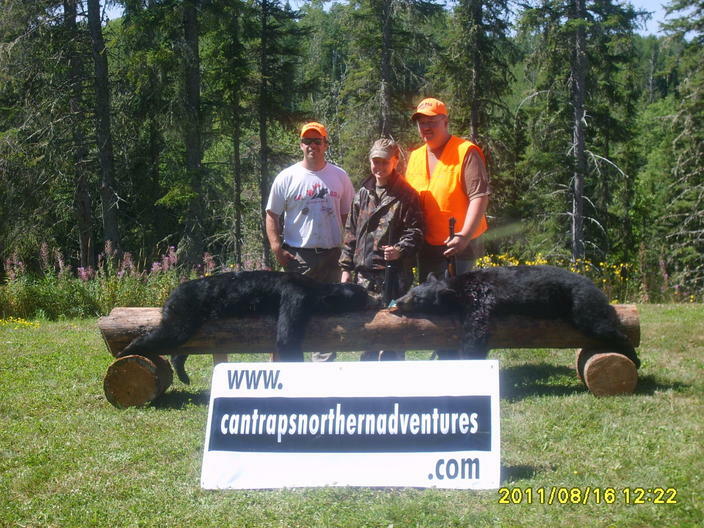 I just returned from a Black Bear Hunt in Cochrane, Ontario, Canada with Mike McNay and Cantraps Northern Adventures....what an awesome, awesome experience! Mike stumbled upon a diamond in the rough. He has the sole rights to the BMA in the Cochrane area, which has NEVER been outfitted professionally before....the guy is covered up in bears and so are his hunters! One guy in camp with us actually had one climb the tree with him not once, but twice before he terminated the bear....He actually threw his coat over the bear the second time while trying to load his gun! With a ton of berries all over up there, Mike's baits were still being hit regularly! My wife shot her first big game animal on this trip, and, of course, it had to be 4 # heavier then mine, but, that is o.k....now she is hooked. Accommadations were great as was the hospitality...just can't say enough! Cantrap is part of the forums here on huntingnet, so, look him up. If you want more info, PM me and I will be happy to fill you in....we have already booked for next year again!!! Last edited by Robbi; 08-23-2011 at 02:10 PM. Sounds like a great hunt, would love to see pictures. bc-planning to put some up here just as soon as my wife turns over the SD card....she is too busy bragging herself at work right now! Good for her, sounds like you have a new partner in the woods. 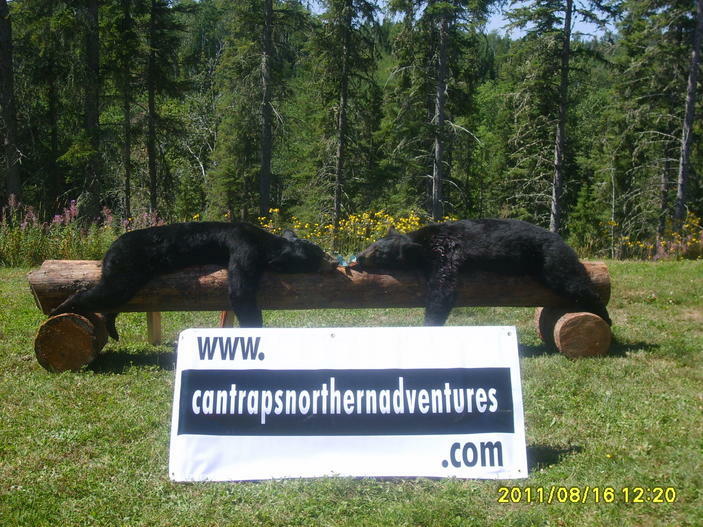 Here are some pictures of our bears....not the biggest, but, for our first bears, we were very happy! 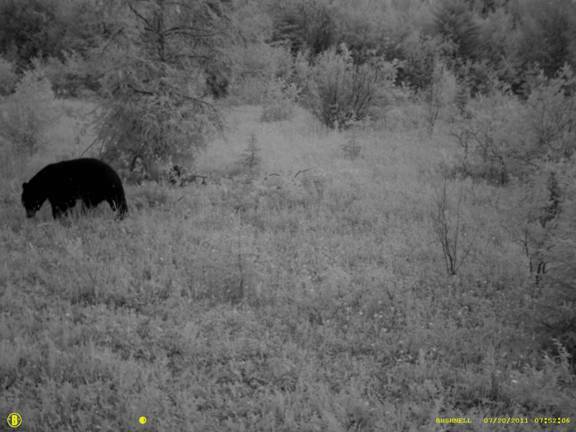 Trust me, I have seen the trail camera pictures and Mike has alot of big bears up there! Congrats again, they will make some fine rugs.